Swing gates provide security and convenience, with no need to get out of your car in the rain to open your gates. 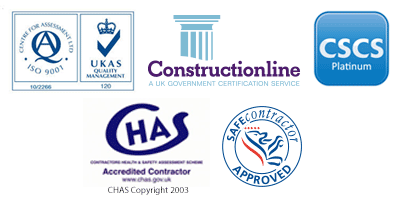 They give protection against unauthorised intrusion by people and animals that may wander into your property. In today’s world, swing gates are becoming more of a necessity rather than a luxury. More and more apartment buildings, industrial estates and private properties are constructed as gated environments, which not only protects the property, but it also protects their vehicles and other assets, giving total peace of mind. Swing gates can be fabricated in numerous designs, the first thing to decide when you are choosing a swing gate is if you would prefer one large swing gate or a pair of swing gates. This is not always a matter of choice, but, the space behind the gate that allow the gate to open inwards as a swing gate, is not allowed to open out over a public footpath or road. 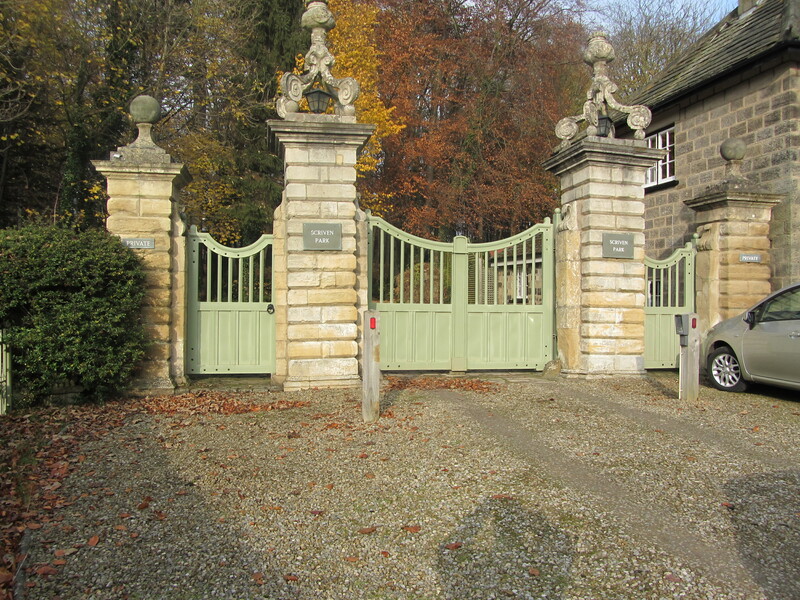 A pair of swing gates would open into half the distance of one large swing gate. Then we come to the design. This can be an ornate wrought iron style steel work or panelled timber gates, which are also being used more and more often. For industrial areas such as factories, schools, and workshops, it is normally a bar infill design or mesh gate designed and made to match the property. If the gate is to be made for automation, please ensure the gate supports and hinges are sufficient, the most common problem is where, for instance a school has a fence and a manual gate fitted, then, a couple of years later, they wish to automate the gate. Usually fencing companies install gates for manual operation only. If a swing gate motor is put onto that gate the torque produced by the motor may rip the hinges and posts apart . When Auto Mate Systems Ltd. supply any industrial gate, it comes with fully machined bearing hinges. We also retrofit bearing hinges to gates we automate. 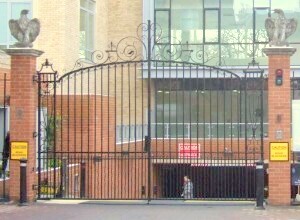 Swing gates can be powered discretely by the use of underground motors, these are more often used on domestic gates and can be hydraulic or electro mechanical. The electro mechanical motors are very reliable and need very little ongoing maintenance, other than to clean out the motor boxes from usual debris of leaves etc. The other type of underground swing gate motor is the hydraulic motor, this requires the same maintenance as the electro mechanical motor with the addition of checking fluid levels and that the valves are secure. If the property is subject to flooding then it would be worth considering a Ram gate motor, this is a motor which relies on geometry when it is powered to push the gate open or pull it closed. These are mounted above ground so the problem of flooding and water penetration does not exist. Again, these can be electro mechanical or hydraulic. The hydraulic version is often used on larger industrial gates where more force is required. Scissor arm motors are commonly used when a brick pillar does not allow for the accurate geometry required with a ram motor or an underground motor cannot be fitted due to brickwork foundations. The scissor arm motor is fixed to the brick work and the arm of the motor is bolted or welded to the gate, the arm folds to open the gate as the motor turns. These types of motor are normally light domestic duty. The last type of swing gate motor is the wheeled motor which is fastened to the leaf of the gate and drives the gate open. The ground for this motor must be hard i.e. concrete and it must also be level. This gate motor works on limit switches so the control panel knows when the gate is open or closed. The wheeled gate motor is more suited to industrial gates and can operate a gate leaf weighing from 2000 kg up to 6000 kg, and, guarantees to close the gate no matter what the weather unlike all other swing motors which are affected by wind as only so much force can be put behind the standard motor (if an 80 mph wind is pushing against the gate it will not open or close). As a RIB approved distributor, Auto Mate Systems Ltd supply and install all types of swing gate automation equipment. Automate Systems also train other gate automation engineers and installers in the correct procedures to be used when installing RIB and other manufacturers gate automation systems. Our swing gate drive units come in various sizes and can power domestic gates from 300 KG to large industrial gates of up to 15,000 KG. Please also see our automatic barriers. Supply and installation of a fully operational and integrated swing gate system.